Welcome to Southside JEWELRY & LOAN, An independently owned Pawn shop and Jewelry store, in the business of making loans on almost anything of value that is in good working condition. In an effort to maximize your loan amount all incoming merchandise is completely tested. We specialize in High Dollar Jewelry Loans and Buys! Our GIA graduate uses the skills needed to calculate the highest dollar amount for the customer. GIA is the world leader in diamond and gemstone identification. Our staff graduate is the customer’s edge for proper evaluation and identification of your jewelry. Simply, better identification means More Money for our customer, no matter if the choice is a loan or the direct sale of your merchandise. This principal holds true on all other items of Value! Our testing and inspection process insures greater dollar amounts on any electronics or household items with its original parts and in good working condition. We also Offer Wholesale, Closeout Jewelry, Estate Jewelry, Jewelry Repair, in Webster, Kirkwood, Sunset Hills, Oakville, Fenton, South County, Crestwood, Shrewsberry, and Lemay. Southside Pawn places great importance on every jewelry loan. Remembering our commitment, that each customer will get the maximum cash possible for your jewelry. no other store will loan you more. Southside Jewelry and Loan is the premiere pre-owned electronics store in St. Louis. From laptops to video games, Southside can help you find your favorite electronics. All electronics at Southside are tested and approved by our professional staff, so you can be assured that the used electronics you purchase at Southside will work when you get them home. "Electronics are a product that, when treated properly, can be passed from person to person, and sold repeatedly, as long as they are taken care of. We don't take beaten up, dirty machines in, just working equipment," says Natalie Brooks of Southside. "It's not any different than jewelry or any other product, if a working TV comes in, we can take it and sell it to you at a discount." The rising cost of these products makes the pawn industry more important than ever. For birthdays and holidays, saving every possible cent is paramount, and Southside wants to help. If you’re in need of some quick emergency cash, Southside Pawn Shop in St. Louis is a great place to borrow the money you need. At Southside Jewelry and Loan, you have the option of getting a collateral loan on items like gold, diamonds, jewelry or firearms, or you can sell those items for cash. Millions of Americans visit pawn shops each year, asking the question, “Should I get a loan or sell my valuables?” While there are several factors to be considered when deciding whether to pawn or sell an item, at Southside we recommend making a loan. You’ll get the cash you need with no “Credit Check” and without giving up ownership forever. If you’ve never been to a pawn shop before you should take a moment to understand the difference between pawning and selling. 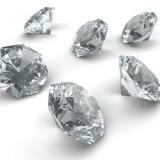 Pawning an item means that you are using your valuable item as collateral to secure a loan. After appraising the value of your item with the professionals at Southside Jewelry and Loans, the pawnbroker will work with you to determine a loan amount. You’ll leave your item with the pawnbroker until you can repay the loan and collect your items. We urge every customer to understand the loan terms before finalizing your deal. 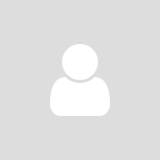 Selling an item at a pawn shop is simply that: Selling the item to the pawnbroker. When deciding whether you want to pawn or sell, you should remember a loan gives our customers a chance to redeem their valuables, or not return without any consequences. Our suggestion is to make a loan because most jewelry has sentimental value. Firearms are usually passed to family members. Jewelry and firearms are items that usually increase in value over time. Please consider the future value! At Southside Jewelry and Loan we take pride in lending our customers top dollar, so they won’t feel pressured to sell their keepsakes for more money today, while sacrificing tomorrow. Southside Jewelry and Loan is a great place to indulge in diamond and jewelry purchases at a huge discount. Southside Jewelry has access to high quality diamonds and gold jewelry at prices far below ordinary retail prices. Our best customer is informed and has taken the time to research the value of their purchase, as it relates to the current retail price for a similar jewelry item. Establish your personal criteria as it pertains to size, quality, condition, and cost. The criteria will allow our jewelry customer to be more effective with their search, and quickly realize the value of a remarkable piece. Service after the sale can make a great purchase, an overall sensational experience. Fine jewelry and diamonds require alterations in size, fit, and feel.  This service should only be attempted in house by a gifted bench jewelry professional with the benefits of a fully equipped work shop, just like the one at Southside Jewelry and Loan. To see the Southside experience for yourself, come visit us at 8101 Gravois Ave. in St. Louis, MO. To learn more, visit www.pawnstlouis.com or call 314-353-1900 for more information. We hope to see you soon! Southside Pawn offers cash for any item of value! 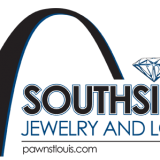 Southside Pawn will give you the best loans on jewelry! ARE YOU A SMART JEWELRY SHOPPER? 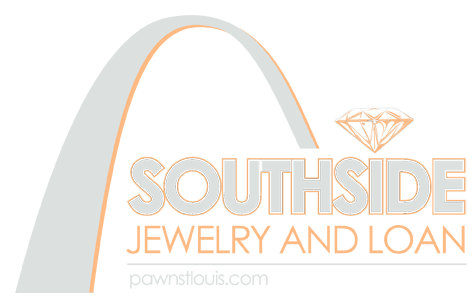 Southside Pawn is the leader in Jewelry sales in St. Louis. What is GIA certification, and why is it important to jewelry consumers? Here are 5 reasons to be thankful for your local pawn shop. Why musicians should choose Southside Jewelry and Loan! Why buy your games and systems new when you can save on buying them used? Southside Guns and Ammo has broken Ground on their new shooting range, Sharpshooters. Why go to an expensive mall store when Southside Jewelry and Loan can repair your existing jewelry and create new pieces for up to half the cost? Southside Pawn's New Gun Store Grand Opening on May 1st. For those of you who missed it, Southside Pawn and Jewelry of St. Louis, Missouri opened an all new gun store. The enormous new selection gives St. Louis customers a new option in firearm superstores. Southside Pawn to Open New Gun Shop May 1st! Southside Pawn will expand their gun store beginning May 1st to include a huge new selection of firearms, ammunition and accessories. Why is the pawn industry generating so much attention as a "barometer of the economy"? Reports show that the three publicly traded pawn companies reported significantly increased earnings during the last two fiscal quarters. A historic increase in gold value and the "Cash for Gold" craze have shown record numbers of people trading in old jewelry and coins for cash. Perhaps the perception could be based on speculation that in hard times, people pawn. However, there is a larger, more compelling story about the pawn industry. Gun Loans Through Southside Pawn! St.Louis Gun Loans, dba Southside Pawn, has guns for sale, and is the premier lender on all firearms in the St.Louis Metro area. Our complete goal is to loan our customers the greatest amount of money possible on their valuable firearms. Law Enforcement, Military and sport shooting experience, coupled with 16 years of loaning top dollar on every type of firearm imaginable, gives our customers the true satisfaction of knowing they have received the best possible loan. When the need for quick cash arises, this is when our customers appreciate our intention to maximize the money we give on every firearm. Nobody needs an unfair hassle about any loan during a time of importance. It's at this time our store and staff makes lasting customers forever. Special note should be made that we sell over 40 different brands and styles of new firearms, which keeps us right up to date on all current prices! We service Webster, Kirkwood, Sunset Hills, Oakville, Fenton, South County, Crestwood, Shrewsberry, and Lemay.Visit http://www.stlouisgunloans.com/ today, or http://www.pawnstlouis.com/firearms.html for more information!